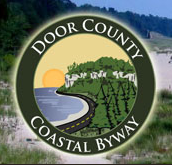 The marker is located in Spring Pond Park on Main Street (County Highway U / S) south of its intersection with Pine Avenue East (County Highway S), at or near 418 Main Street, Plum City, Wisconsin 54761. See also, Marker 356: Plum City: Early History, also at this location. The memorial is alongside a small community pond. The memorial is located in Plum City, Wisconsin.